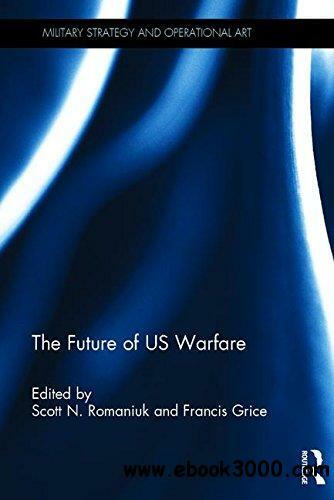 This book provides an interdisciplinary analysis of the future of US warfare, including its military practices and the domestic and global challenges it faces. The need to undertake a comprehensive analysis about the future of warfare for the US is more pressing today than ever before. New technologies and adversaries, both old and new, have the potential to revolutionize how wars are fought, and it is imperative that policy makers, military planners, and scholars engage with the latest analyses regarding these new threats and weapon systems. The primary aim of this book is to provide a clear and comprehensive depiction of the types of conflict that the United States is likely to become involved with in the future, as well as the methods of warfare that it may employ within these struggles. While a number of scholarly books have previously considered some of the potential features of US warfare in the future, many of these writings are either outdated or have limited their focus to just one or two of the main types of warfare that may occur and omitted consideration of the others. This book intends to remedy this deficiency in the literature. The volume consists of thematic chapters which address the key issues relevant to the future of US warfare, including cyber warfare, asymmetric conflicts, drone warfare, and nuclear strategy. Through the provision of a series of analyses by leading international academics, the volume provides an important interdisciplinary examination of the different areas of warfare that the United States is expected to use or encounter in the future. This book will be of great interest to students of US foreign policy, military studies, strategic studies and International Relations in general.